So true, but I still love the time away with my family. I can always relax at home. One of my high school teachers was getting rid of some old Arizona postcards and thought I would like them and he was right. I still have those postcards from around 1918 and love the messages, old photos of Arizona and the stamps. Several of them mention the terrible flu epidemic that killed millions worldwide. 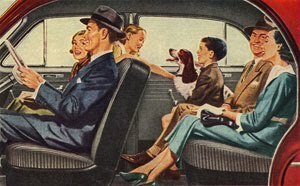 Others are a reminder that there used to be twice daily mail delivery and that a postcard mailed in the morning in one part of the city would be delivered in the afternoon to another part of the city. Many are just simple notes saying "I will see you this afternoon". And we thought e-mail was quick. 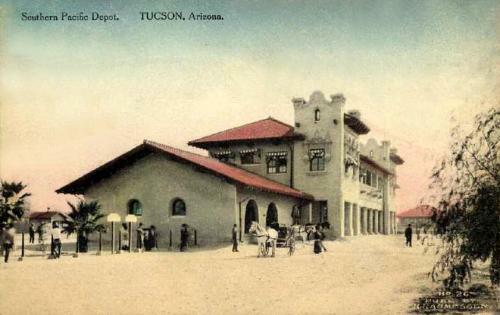 Those postcards were the start of a love for vintage postcards, not just old Arizona postcards. 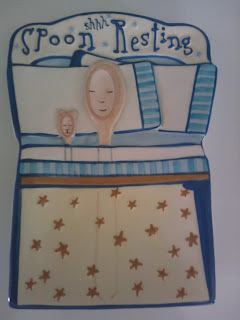 I branched out to embrace holiday cards but am fascinated with almost any subject. I've used the scanned graphics in all types of projects but mostly love the history of the pieces and the reminder of by-gone eras. 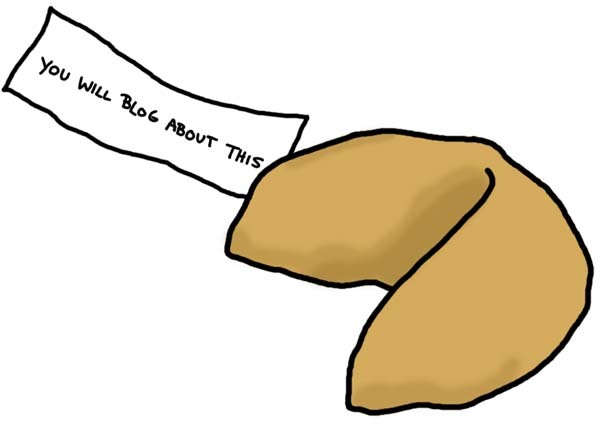 My ideas are failing me today so I decided to write about something very simple, fortune cookies. My son describes them as sweet and dimply. Fortune cookies, the treat with a surprise, almost like a small treasure waiting to be found. I really am not into the taste, it's OK, nothing great, so I usually just break the cookie and read the fortune. I've had many fortune cookies throughout the years but my best fortune was before I took the state boards for nursing. My friend and I went to the Japanese Tea Garden in Golden Gate Park and my fortune said "you will pass a difficult test that will make you happier and financially better". It came true within the month and turned me from a simple fortune cookie fan into a fortune cookie believer. Sometimes my immediate instinct to an idea is to say "no". 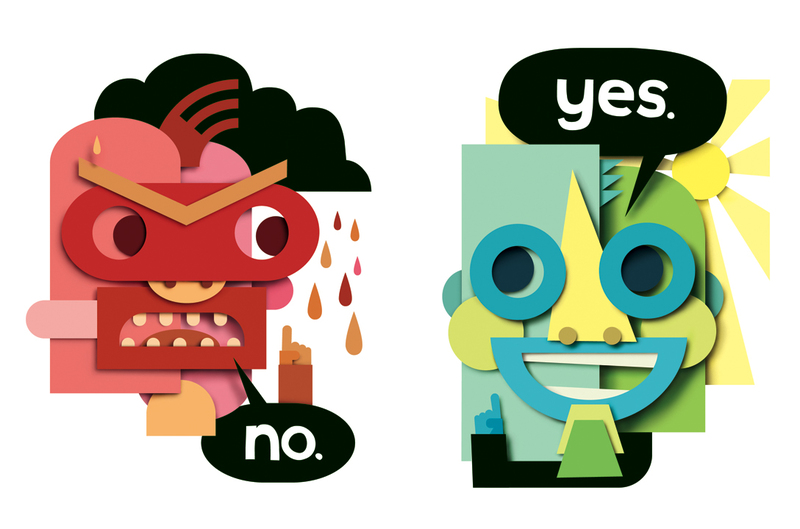 I think as we get older we get set in our ways and it's a good idea to try to say "yes" to new ideas that are offered rather than an immediate "no". For instance, my mother-in-law went para-sailing on a cruise a few years back. She was in her late 70's. She talks about it to this day and I admire her for doing that as I know my immediate instinct would have been to say "no". 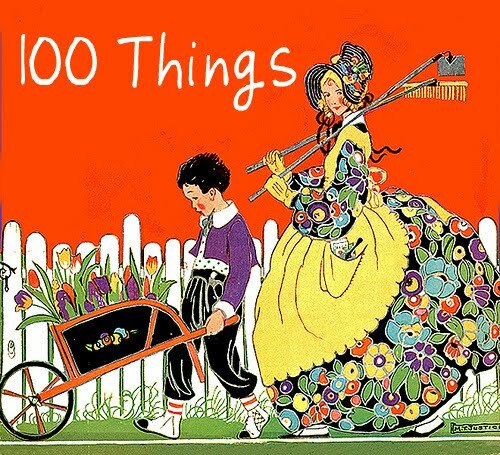 I don't think that we should say yes to every crazy idea someone offers us, I always say "no" to telephone solicitors or ideas too big for my purse strings but simple and fun things shouldn't be put on the back burner for "another time" or "not now, maybe later". There might not be a later. I'm not certain my title for this post is correct. It might be more aptly titled Death and Dying. 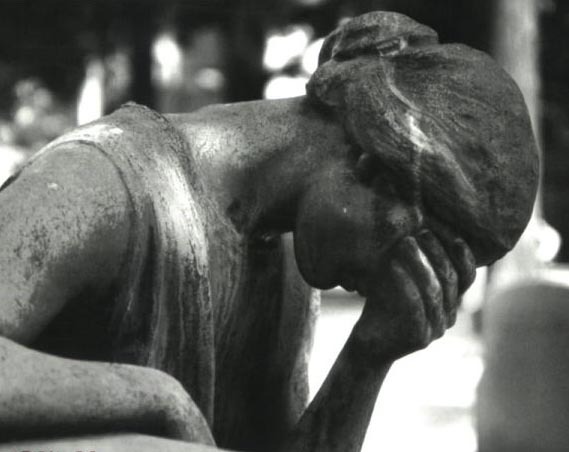 Either way, I have had death on my mind for a number of years now. I lost both parents and a good friend in the past four years and am currently visiting as frequently as possible one of my best friends who has a terminal illness. It's not easy and it is incredibly sad but at the same time I feel very privileged to be part of her life before death. She knows the score and her grace in such a terrible situation humbles me. And despite her dire circumstances, there aren't many people in the world that I enjoy as much as her. I will miss her and I will grieve. I never would have thought anything like this would happen to such a wonderful person. And yet I'm being taught something every time I visit her and every time I talk with her. I am gaining something from this horrible time by sharing it with her. My conclusion is simple, I have an interest in working with terminally ill people. Maybe this is pointing me in a direction I need to go. Hospice work? I don't know. Whatever this tragedy is showing me, it has not yet completely formulated in my mind. I'll know at some point, but all I know for certain is death does not scare me and helping people who are terminally ill is something that I would feel honored to do. I love books, always have, always will. 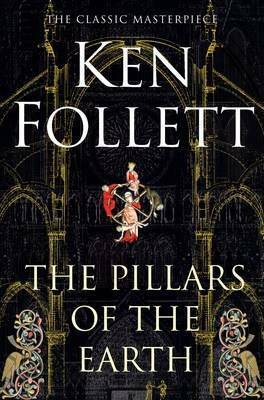 If I had to choose my favorite fiction book it would be Ken Follett's, The Pillars of the Earth. 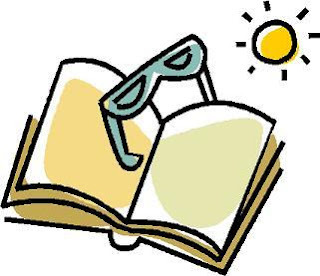 I've read it three times and each time I give it away to someone so they can also enjoy it. Then I end up buying another copy and re-reading it. It is an historical novel about the building of a fictional cathedral in 12th century England. 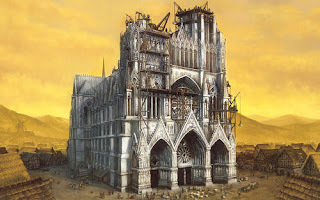 That book led me to another fascination which is cathedrals. Not just cathedrals but medieval cathedrals. 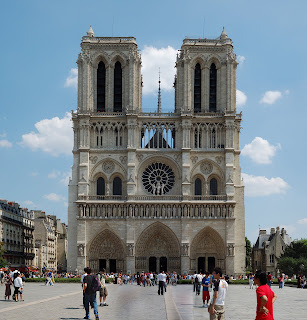 I love looking at them though the only famous one I have visited is Notre Dame in Paris. My husband and I sat outside in a cafe about 50 ft away drinking Cokes at a small table. We just sat and stared at the building, awestruck at its immensity and age. Pilgrims came there to pray before leaving for the Crusades, huge masses of humanity have moved through that cathedral and important historical events have occurred there or nearby. It's inspiring to realize that the cathedral has stood so long even as times have changed tremendously. I had just read the book for the second time in preparation for our visit, something I would recommend to anyone about to visit any cathedral. 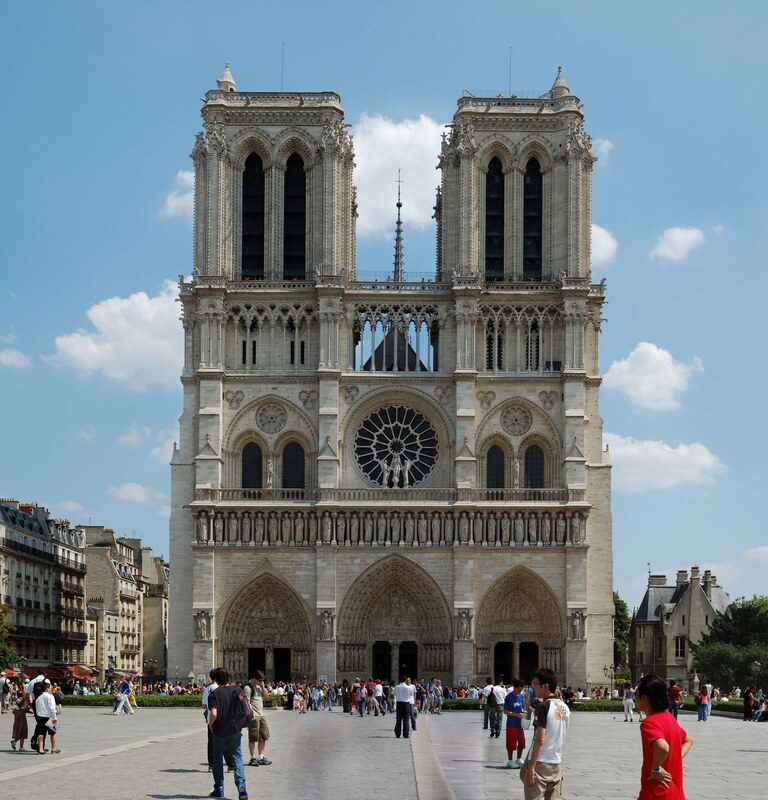 The huge undertaking of building a cathedral coupled with the political intrigue of the times was still fresh in my mind and made the visit not just an ordinary stop on a typical Paris tour but instead made the visit come alive for me. 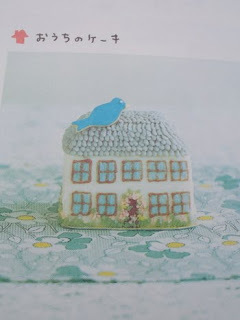 Day Twenty-Two -- Japanese CUTE! It all started simply enough. 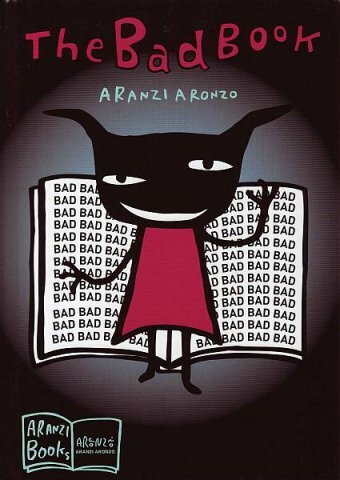 I bought an Aranzi Aronzo book because the little characters were so CUTE! It progressed to another book, actually called "THE CUTE BOOK". Yes, there was no mistake with that title as to what the book would entail. 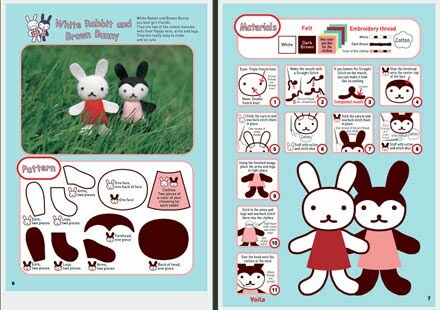 It was so CUTE and my daughter and I began crafting the little felt animals in the book. Then we went to San Francisco and to a Japanese bookstore and my obsession grew. So many CUTE craft magazines to choose from. 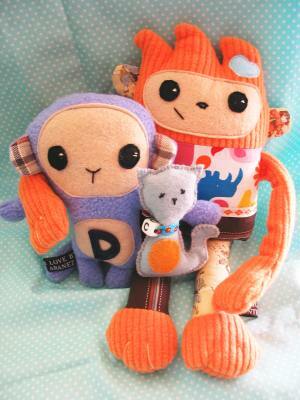 And CUTE books too! I could have spent hours browsing there. I loved these craft books and magazines so much that my daughter brought me home a few from Japan the next summer. Who wouldn't love all this Japanese cuteness? Certainly not I. They even have instructions on how to make my favorite graphic image, polka dots! I can learn to crochet or knit polka dots! 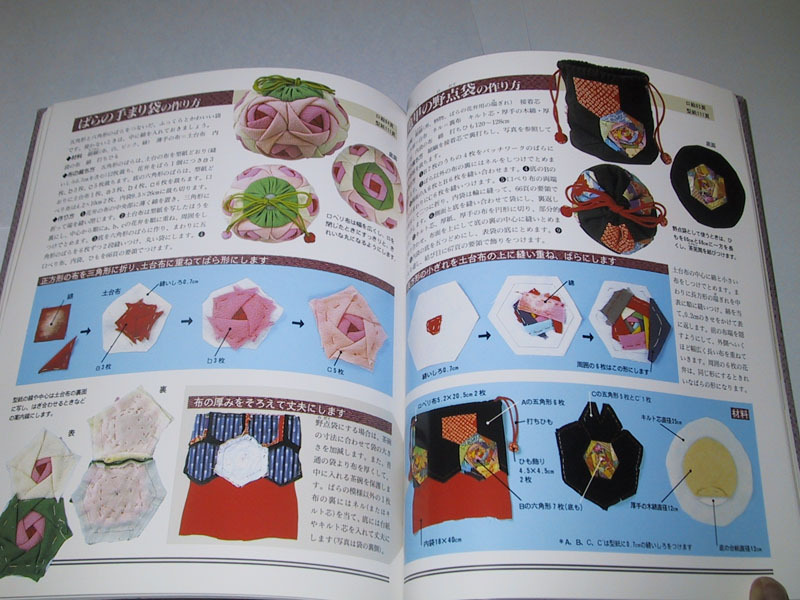 Maybe there are instructions for making polka dots in American crochet and knitting books too, but of course the Japanese would have them. 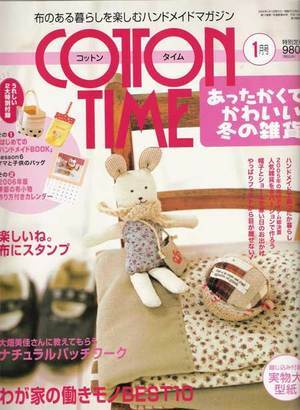 The Japanese have made a culture of all things cute. There is even a Wikipedia article on this. "As a cultural phenomenon, cuteness is increasingly accepted in Japan as a part of Japanese Culture and national identity. Tomoyuki Sugiyama, author of "Cool Japan", believes that "cuteness" is rooted in Japan's harmony-loving culture, and Nobuyoshi Kurita, a sociology professor in Tokyo, has stated that "cute" is a "magic term" that encompasses everything that's acceptable and desirable in Japan." I like all of this Japanese cute stuff, crafts, sewing, needlework, magazines and books. Somehow the Japanese make it all look clean and precise, not only the projects but also the photography. Their style is totally different from styles in other countries. Their fabrics have always been unique and the cotton fabrics that are current in Japan have a look unlike any other fabric, tiny details, clean graphics, candy for the eyes. The only problem for me is shown below. It's difficult for a non-Japanese speaker to follow Japanese directions. It doesn't really matter as I'm not fooling anyone into thinking I'd ever get around to making many of these crafts but it's nice to see that the cute factor has caught on in the U.S. because I'm noticing some of these books now have an English version. I don't buy much online but in finding these photos I realized I'd buy from one CUTE Japanese site only because they have this logo for their shopping cart. I'm a fool for cute. It must be I've never totally grown up as I'm continually attracted to quirky items. Cute, funky, strange, whatever. 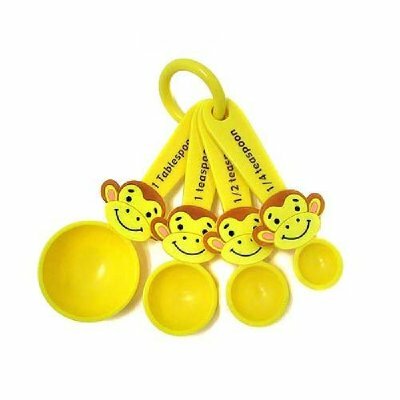 No Williams-Sonoma classic measuring spoons for me, I would much rather buy something like the monkey measuring spoons and my spoon rest isn't classic either, I bought it because it made me smile, especially the baby spoon tucked next to the mommy spoon. I love it every time I look at it. 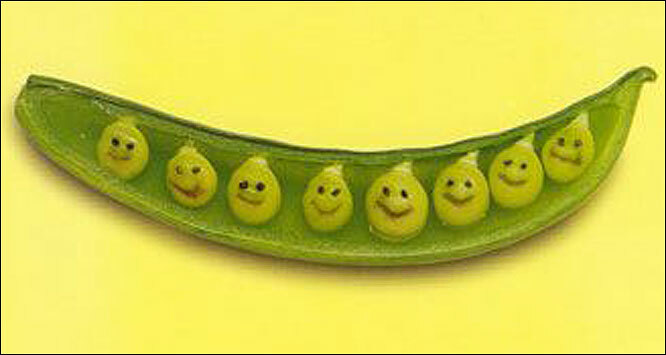 I even like cute food like the peas shown below. I could never eat them though. 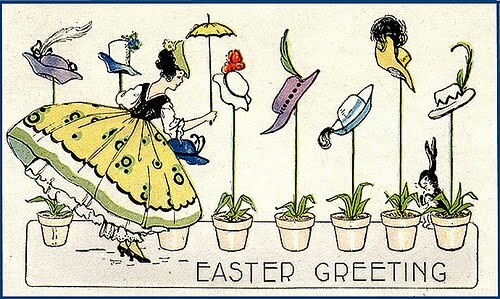 I had a hard enough time eating the chocolate bunnies at Easter though my love of chocolate always won out over my thoughts of cannibalism. 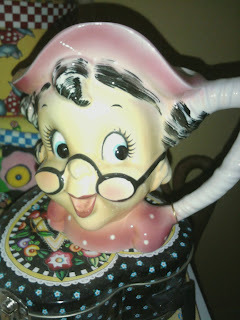 And say hello to the "Old Biddy" mug, my latest quirky find at the thrift store last month. She even has her original, 1950's tag (or maybe she's from the 40's, it doesn't really matter) that says "Old Biddy". She called to me and I went running over to claim her. $3 well spent because she makes me happy when I see her. I doubt I'll ever completely grow up, but who really cares? Not me. 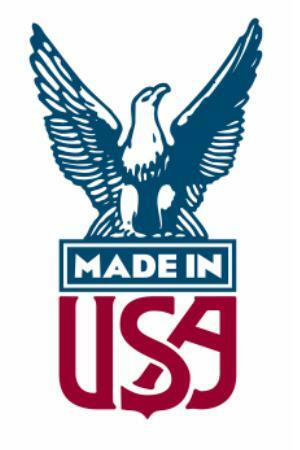 Is anything made in the USA anymore? . I see Made in China, Made in Taiwan, Made in Malaysia, Made in Mexico or Made in India on most items these days. It wasn't until buying a vintage item at the thrift store and seeing the stamp "Made in the USA" on the bottom of the piece that I realized I rarely see that on anything anymore. And I miss seeing that. 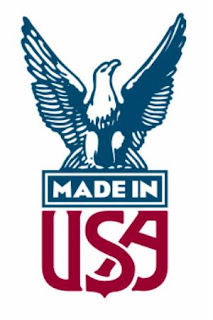 Here's a site that does list items still made in the USA, I just wish the listings were larger. I have a piano. 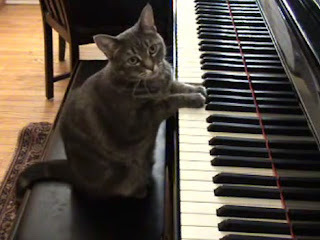 I can play the piano. I took lessons from age 8 until age 16 or 17. That's a lot of years, but the piano sits unused. I look at it, I think about it but I rarely touch it unless it's to dust. Yeah, one key is broken and it's not been tuned in years but that is easily fixed. So why don't I play the thing, bang around on it, hammer out notes or something? I'm slowly figuring that out. Years ago I took a test based on Howard Gardner's multiple intelligences and I scored highest on musical intelligence. What a shock. But not really. I know I learn well via music and know I understand a lot about music. I think my blockage comes from the fact I have two brothers who are both extremely musical. Both play with symphonies, one in Dallas, one in Oklahoma City. Both have college degrees in music. I never consciously thought about it until recently but I realize I quit playing because my brothers were both so involved with music and I needed to have my own "thing", something different from what they did and they both did it well. I believe I didn't want to be compared and found lacking. And truthfully, I never had their skill and it was unacceptable to me to not be as good. I guess I had a little perfectionistic and competitive streak in me. So I quit and never looked back until now. I should be over that now shouldn't I? 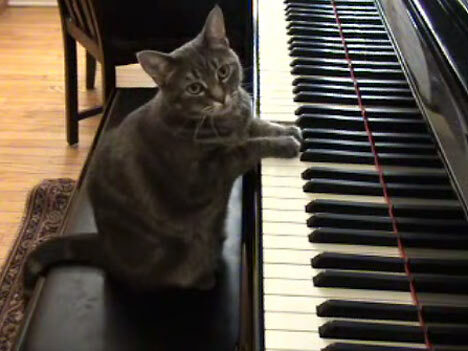 I think I might just take some piano lessons. What is there to say about the fact that I like the moon? 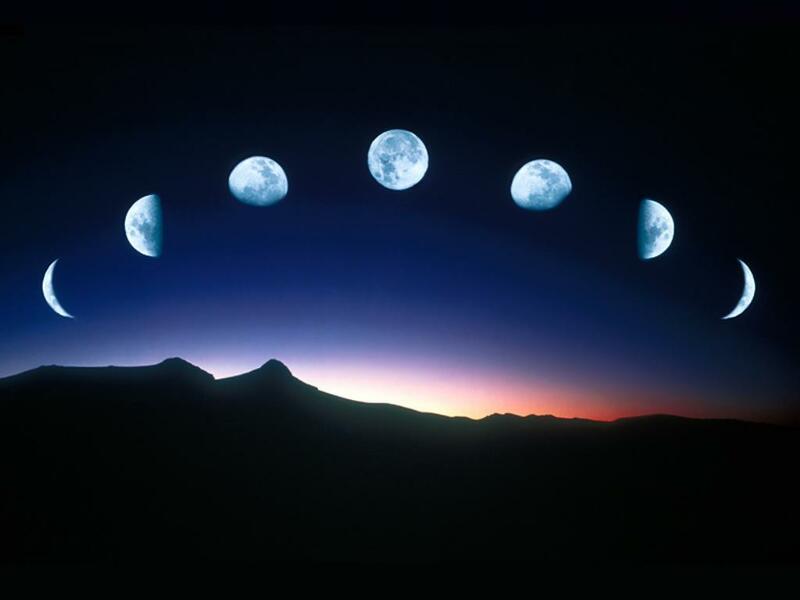 It's changeable yet predictable, kind of like me. It's perfect. I'm not. I like it, it's always just right.